Goethe-Schule Buenos Aires is a German international school in Boulogne, Buenos Aires Province, Argentina, in Greater Buenos Aires. It serves Kindergarten through Sekundarstufe, years 1-12. It was first established in the house of Cristino Hansen on December 16, 1891 as the Höhere Knabenschule; it first class was held in Belgrano on February 15, 1897. 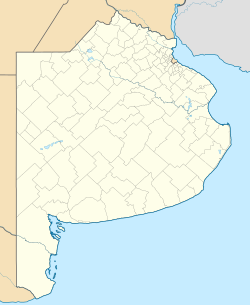 In 1898 it moved to Cabildo 1891. A new building, with the foundation stone laid on June 17, 1906, opened on February 15, 1907. The land for this building, on Calle Virreyes (now José Hernández) esq. Cuba, was purchased in 1904. In 1914 it merged with the Escuela de la Señorita Liebau. The Belgrano-Schule opened that year. The Belgrano Kindergarten opened in 1920. In 1927 it merged with the Germania Schule. The two became a single administration and had one general director, Dr. Keiper. It was in 1931 that the school changed its name after the merger and it has been renamed Goethe Schule. The school’s course was marked until 1945: it was going to be a school with a German curriculum and competent authorities were required to approve the German teaching books. At the beginning of the 30s, many German families have moved to the North Zone (zona Norte), especially Vicente Lopez and Martinez. In 1936, the director H. Qualitz decided to change its name to Gutenberg Schule. In 1942, the school had to close for some months; some teachers had problems with the legalization of their degrees. In 1944, the Gutenberg Schule had 222 students; however, in 1945 the General Council of Education of the Province of Buenos Aires withdraw the authorization to operate to all German schools in Argentina. After four years of the school’s confiscation, some parents decided to found a new German school in Martinez called Escuela Norte. The school opens its doors in 1951 with 220 students; the school grows rapidly and in 1955 the high school is created. The Escuela Norte welcomed its first German professors in 1957. The Gutenberg School was recovered and was ready again to receive its students, who were not other than the students of the Escuela Norte. In 1963, the school came back to be the Goethe Schule. In April 11, 1989 the purchase of a plot in La Horqueta is decided; thus the elementary and high school were moved to the new school. In 1997, the 100th anniversary of the birth of the institution was celebrated. The celebration included gala parties, tournaments, and sports events. ^ Spanish homepage/German homepage. Goethe-Schule Buenos Aires. Retrieved on March 14, 2016. "Reclus 2250 (B1609DQL) Boulogne, Buenos Aires, Argentina." ^ "Goethe-Schule Buenos Aires." ZfA. Retrieved on March 14, 2016. ^ "Historia"/"Geschichte." Goethe-Schule Buenos Aires. Retrieved on March 21, 2016. ^ "Historia - Goethe Schule". Goethe Schule (in German). Retrieved 2018-10-11. 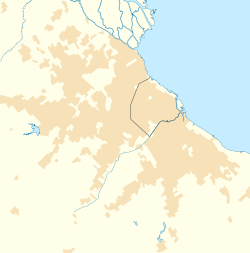 All schools are located within the city of Buenos Aires unless noted; Schools marked with asterisks (*) do not appear on the ZfA list of German schools. This Argentine school-related article is a stub. You can help Wikipedia by expanding it. This German school-related article is a stub. You can help Wikipedia by expanding it. This page was last edited on 2 January 2019, at 09:50 (UTC).